Reconstruction of the Zátopek exhibition. Technical museum Tatra together with Fojtstvi museum, they will be closed on monday 28. 03. 2005. Price list for year 2010. Check these schedules to know when is best to visit our museums during the Christmas and New Year. Museum Fojststvi will be open only from 9 to 12 (on saturday 25.-th of august) due the technical reasons. We just prepared brand new entrance fee discount, which will be valid from 1. 7. 2004. He passed away on monday (21. 6. 2004). Major Czechoslovak designer died in his 87 years. The name of Zdenek Kovar was connected with Tatra company mainly due his authorship on personal car Tatra 603. Our website visitors could find Annual report for evaluated year 2003. 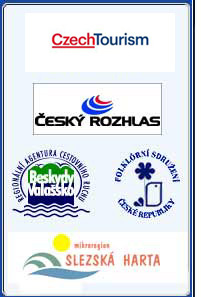 This report is available under Documents link and is published in Czech language only.